Sorry for being away for a very long time, but I hope that my posts on Instagram, Twitter and Facebook Page are giving you the updates of what I am upto these days. Also many of you dont know that I also run a youtube channel with my friends known as - Fat Toxic Bawarchi to which you can subscribe for video recipes, restaurant reviews and lots of fun. As you all know that I love cooking and by profession I'm a chef. Cooking everyday in the same kitchen can sometimes be a bit boring (just kidding, its always fun to return to the place and work where people are filled with loads of energy, make others work full of fun). Im sure many of you have heard about the new property that the Marriott group of Hotels opened in Mumbai near the international airport known as JW Marriott Sahar Mumbai. They have a restaurant known as Romanos serving great Italian food made using the best ingredients available out there. You can check out the video review of the restaurant and the food on this link - Romanos Restaurant Review. 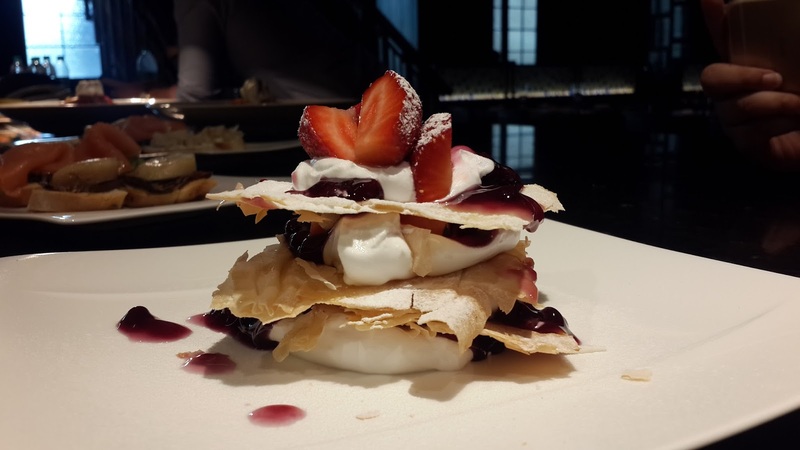 To take the food to a new level and give it a different twist, the restaurant now has a new Head Chef - Chef Roberto Zorzoli and along with him Chef Alexander Williams. With over a decade years of experience with cooking, Chef Roberto brings his style of cooking to the restaurant serving home style, authentic italian food. Bringing the techniques and inspirations he got as a kid in his grandparents kitchen is something that will give the food at Romanos a different touch. 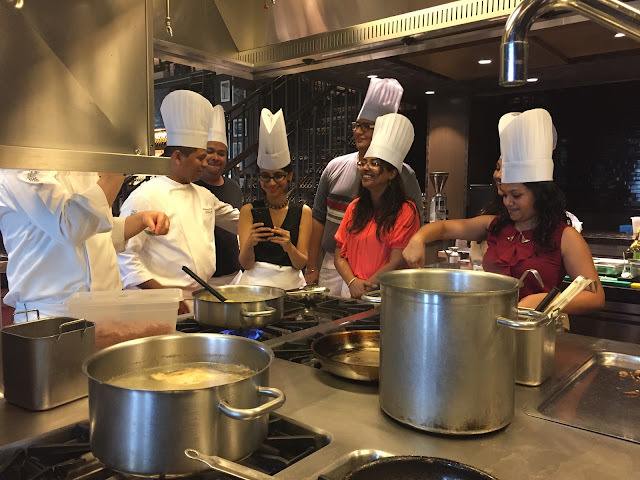 Recently, JW Sahar invited me and some more fellow food bloggers to experience the life of a chef, going behind the counter and cooking food, having a look at the whole process from receiving the food till its on the plate. Taking us through the back areas of the hotel, showing us the bakery, butchery, the vegetable prep area, the vegetable washing and receiving area and much more. After returning from the back of the house, it was time to enter the kitchen and start cooking, but there was still a little time for that as there was a small gathering of everyone and the chef where the menu and the cooking procedure is discussed which is known as the 'team briefing'. Lets start cooking now, the menu consisted of a veg set meal and a non veg set meal as below. The first of the dishes to begin with. 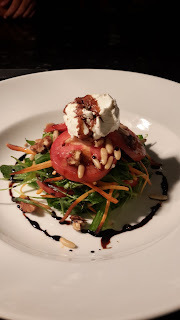 The salad was refreshing, the pinenuts added an extra crunch to it but the Goat Cheese stole it away, it was creamy, smooth, very good on the palatte. I think most of us had the cheese more than the salad leaves and other ingredients that went it. Pan seared salmon, shallots sauce, gumbo asparagus. 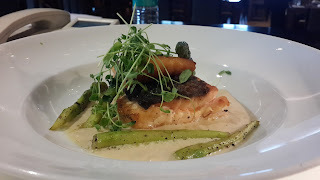 Im personally not a big seafood fan, so I just had a small bite of this dish, the shallot sauce was brilliant, flavorful. The salmon was cooked beautifully, but still im not a seafood person. This was that one dish that I did not enjoy eating. Dont know the reason but I dint like it compared to the others. 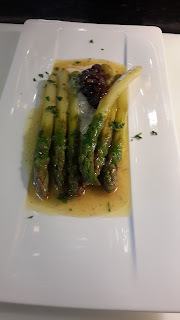 If you are a fan of asparagus, you can give it a try and let me know what you think about it in the comments below. 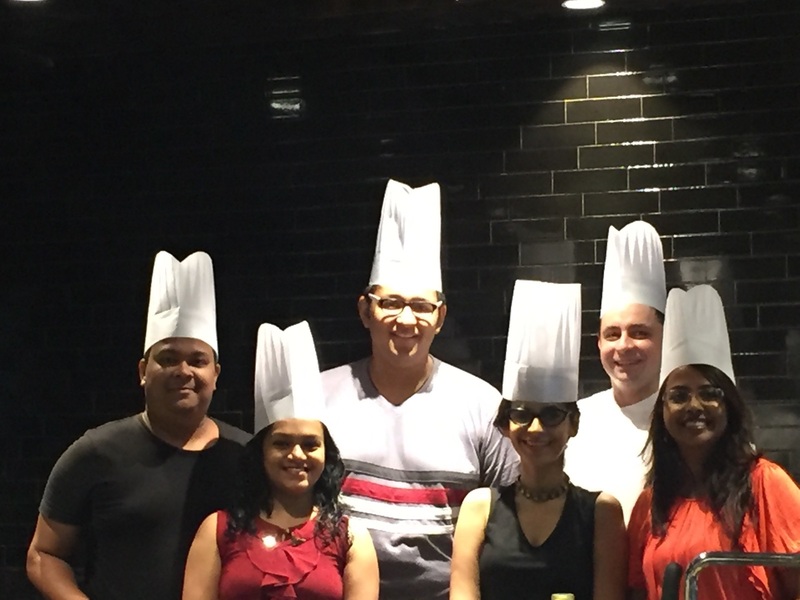 All of us learning some tips and tricks about italian cooking from the chefs. 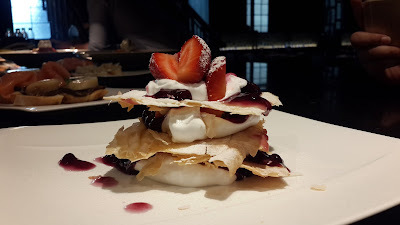 Berries millefeuille a simple yet amazing looking dessert. You need to go there and try it out. Chef’s special recipe of the chocolate salami. 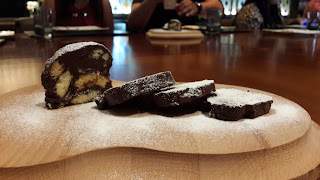 When there is dark chocolate combined with biscotti and set and given to you in the form of a salami, you cant say no to it. This was one of the best dishes on the menu which I loved having. Unfortunately I stopped after two pieces but can surely have more of it. containing fresh pasta ,porcini mushrooms ,truffle essence, homemade chicken sausage. We made the sausages in house and fresh from the meat which was minced in front of our eyes. This was also one of those dishes I enjoyed here and you can give it a try as well. An all time favorite of mine at any italian restaurant. I just love risottos. The bite they have while eating along with the mushrooms, not just any but assorted mushrooms. 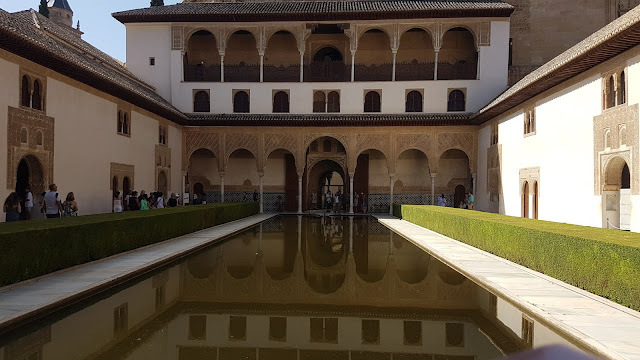 You have to give this one a try here if you happen to visit. If you would like to try the new dishes by Chef Roberto Zorzoli and his team, head over to Romanos soon and enjoy them. P.S. - The Author was invited to the restaurant for the meet up and for the food.